We have good news for agents representing arbitration-eligible players at corner defensive positions. While research isn't as positive for players at the up-the-middle spots, there are ways to reverse that trend. Among the 102 first-time eligible position players who filed during the past four offseasons, 53 played up-the-middle defensive spots. Ten of the 53, or 18.9 percent, earned $3 million as first-time eligibles. The percentage was nearly twice as high for corner infielders and outfielders (36.7). Despite advanced metrics that value players more effectively, core offensive numbers drive arbitration salaries. Our statistical model determined that home runs, RBI and runs scored explain close to 80 percent of first-time position player salaries. That's ideal for clients who excel in those core stats, but middle infielders and catchers usually don't. Even better statistics - like on-base percentage, OPS and runs created - don't include defense or positional value. One solution for arbitration eligibles at the four up-the-middle defensive spots is building powerful exhibits that demonstrate production relative to position, and using metrics like Wins Above Replacement. WAR accounts for positional value, defense and even baserunning. 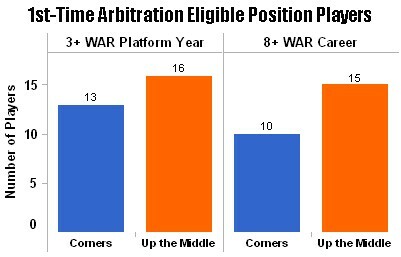 An 8 career WAR or 3 WAR in the platform season identifies a strong regular - players that should earn a $3 million first-time arbitration salary. More up-the-middle players in the group reached these levels than corner position players (see chart below). Since WAR also has a high correlation with team success, it can make a huge impact in arbitration. 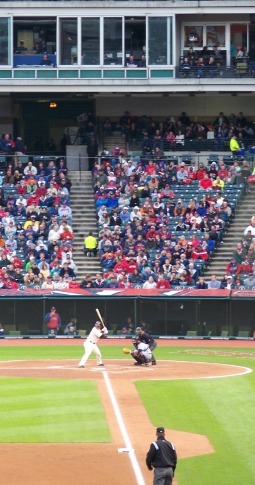 Ballparks have a tremendous impact on statistics. So it pays to know how they'll shape a free agent's numbers. The Sports Resource's model uses both park factors and past ballpark-specific performance to project statistics with potential clubs. 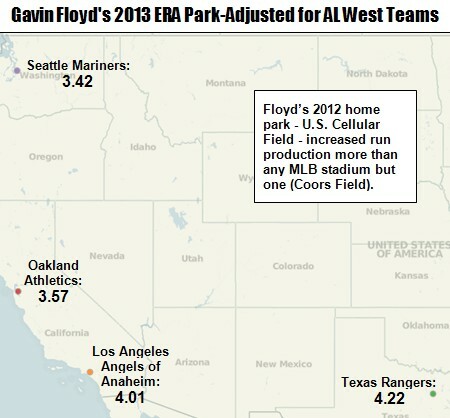 The visualization below projects Gavin Floyd's ERA for the four AL West teams. 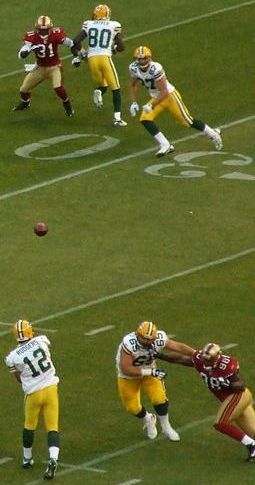 Floyd is a potential free agent with a 2013 club option. U.S. Cellular Field was a very tough pitcher's park in 2012, which had a negative effect on his 4.56 ERA (through September 27). This will improve dramatically should he sign with one of these clubs. Contact us at 404-447-1861 or steve.fall@sportsresource.net to hear what our high-performance analytics can do for your arbitration-eligible players and free agents. For agents with clients competing for major awards, Sports Resource Award Reports highlight your player's top achievements and show what sets him apart. They can be a difference maker! Call Steve Fall at 404-447-1861 for a confidential discussion. Copyright � 2012 The Sports Resource. All Rights Reserved.